For dachshunds, my dogs are quite active. Sure, they may sit around all day some days but when the weather is nice and we are up north at my parent's farm especially, they are running around and enjoying being active. As I have talked about before, I have Jaxen to thank for keeping me fit and active during my pregnancy. He was insistent on taking me on walks daily and has started this up again a few weeks ago. For example, this morning, he followed me all around, jumping and running around like a crazy dog until I took him. When I picked up his leash, he was so, so excited. Walking is everything to Jaxen. Ava likes to walk but only goes on 25-50% of the walks. I usually walk super early in the morning and she likes to stay in bed till later. What Ava enjoys doing is swimming. This is pretty much the most surprising thing to me ever. The first year we had her, she hated the water. Now, when we go to my parent's farm, she will swim laps back and forth for at least 30 minutes straight. We literally have to go get her sometimes because she won't stop and I don't want her to get too tired. She is only about 12 lbs and will just swim back and forth while wagging her tail above the water. It is an awesome site to see! 1. Take them on a walk- This one is pretty obvious but even a short walk is good for them! 2. If they like the water, let them swim. 4. Play tug of war- Get a toy that your pet likes that you can play tug of war with. 5. Take them to a dog park and let them run around. 6. If able, take them for a run- My husband has literally taken Ava on several runs- that dog amazes me. 7. Practice tricks including sit, laydown, stay (and then call them to you) and provide a treat afterwards. 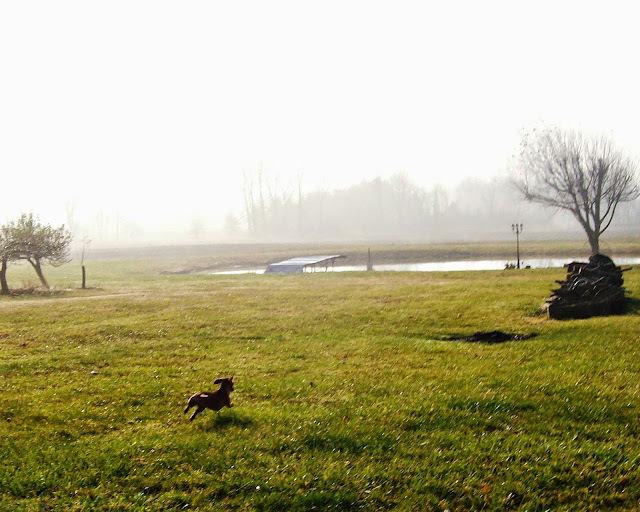 My parent's Irish Setter Isaac loves to run for hours at my parent's farm. 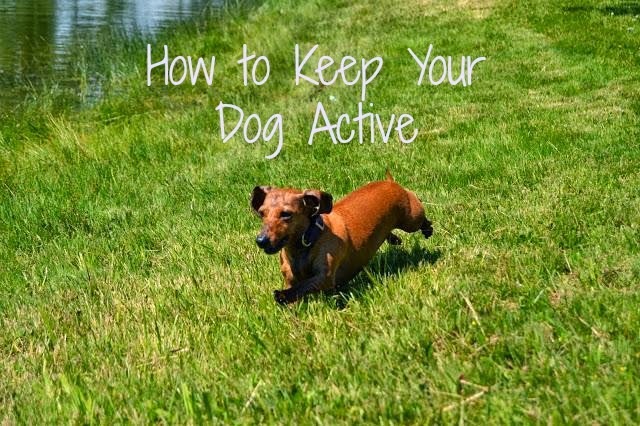 I find it to be very important to keep pets active. It keeps them healthy and they usually love it. Especially since Adalyn was born, they love special attention and these walks with Jaxen are great to keep him feeling loved. After I take him on a long walk, I usually give him a treat. He is pretty skinny and I want to give him some extra calories and reward him for being such a good boy. Also, I amp up his food by giving him more or adding different additives to give him more. I will cook up the scraps of meat for them or add a mixture of wet dog food which they gobble up like crazy. 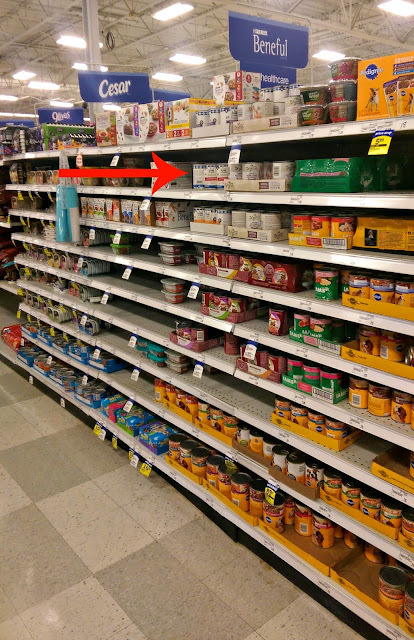 I recently purchased some Purina® Beyond® products from Meijer for the dogs to try. These products are grain free and contain no corn, wheat or soy. We tried the Beyond wet dog foods in chicken, carrot and pea, beef, potato and green bean and Beyond Natural chicken and carrot puree. I like these for the dogs because they contain more nutritious ingredients than many dog treats. I do not give the dogs just anything because I want them to be their healthiest and these fit the bill. After a long weekend up north for Memorial Day and lots of activity (swimming, running and walking), the dogs had this wet food and gobbled it up quick. Active dogs need nutritious foods!